Its Blog Day 2011 ! We Recommend New Blogs You should follow! MTL also love to read blogs that are of great interests. It makes it more interesting and also expands horizons. Some I stumbled upon by accident and some by the content I got useful information. We (nuffnang and MTL) are now sharing this to you so you can have new to read along with your favorite Manual to Lyf! Blah Blah Blog Blowout Winners! The wait is over! Blah Blah Blog Blowout is over and now we will be celebrating the winners of the contest. And since there are two ways to win, we have two winners of P1000 Sodexho GC each! I won't keep the excitement any longer and let meet our winners! 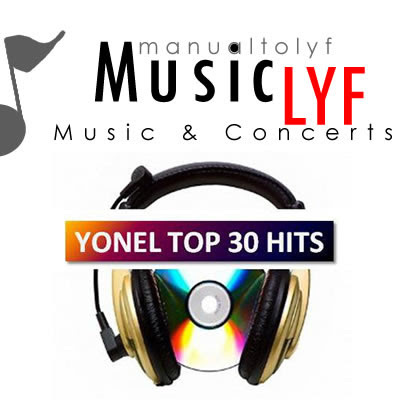 MUSIC LYF: Yonel Top 30 Hits! 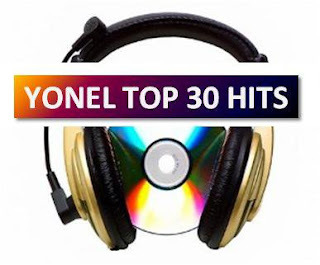 As of August 20, 2011 Like Yonel Top 30 Hits on Facebook! Even I'm in my 20's now, I still love to watch cartoons (given that they are really good). And Disney channel's Phineas and Ferb is one of my favorites. The show just stared two years ago as it was aired here in Asia via Disney Channel Asia. Since then I got hooked on the shows of Phineas and Ferb. I got the chance to meet one my favorite artist in the music industry in terms of rapping. He is considered a protege with his skills in composing and rapping which some (and I) also consider the faster rapper in the country. With popular songs like Walang Natira, Upuan, Elmer, Lando, Simpleng Tao, and many songs collaborated with the celebrated musicians in the industry. 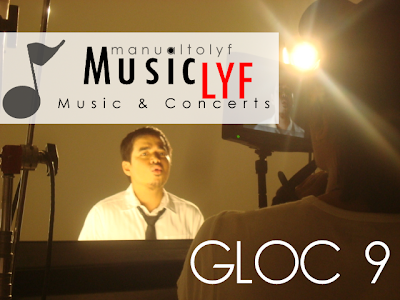 He is a legend in the making, GLOC 9! In 1991, a group of boys in Ateneo High School banded together to sing for Days With the Lord retreats; called themselves Hangad, after their shared desire to know and help others know God through song; and began a 20-year journey of seven albums and numerous concerts, accompanying and inspiring individual’s most intimate moments with God Next month, Hangad will mark their 20th anniversary with the release of their eighth album, This Time With You, which explores and celebrates prayer as a deeply personal, one-on-one conversation with God. I guess the era has now come for men to have our own grooming regimen and never live in the shadows of using products for women. This is also monumental as these product cater to the needs of the modern man with the right formulation to be more effective in reducing oil and avoilding pimples or acne. Nivea Men now presents a their new line to provide 8 benefits that others can not provide. 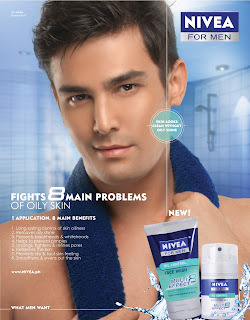 Nivea men introduces their Multi Efect 8 Face wash and Moisture Gel. Both products can also help reduce 8 main problems of oli skin. I have very oily skin and its good to know that the time has come for me to always have that fresh look minus the oil. This is also perfect after working out with sweat and oil taking over the largest organ in your body, the skin. Having already performed the song on national TV, BLUSH’s debut single “Undivided” (featuring Snoop Dogg) vaulted its way into the Top Ten (#4) on the BillboardDance/Club Play Chart. This follows club performances for BLUSH--Victoria, Natsuko, Angeli, Ji Hae and Alisha--in Los Angeles (The Colony, Eleven, Avalon, and Rage) including a recent appearance in ‘So You Think You Can Dance’. We Say THANK YOU to the Global Pinoys! There are almost 10 million Pinoy migrant workers that are spread out in the world. And one of them is my sister Maricor Jusay. They are considered the 'new heroes' of this era as they contributed remittances that help raise our GDP and the economy itself. Though its hard working far from loved ones they also long for happiness and appreciation on what they do. 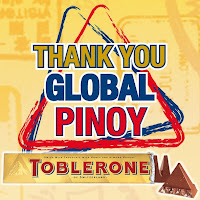 Toblerone recently launched Thank You Global Pinoy (TYGP) as a way of extending the Thank You Day campaign to Overseas Filipinos, thanking them for the sacrifices and hard work that they do for their families and for the country. Fashionistas all over the world are now wearing their true colors on their sleeves more prominently their moods. Fashion authorities in the country would tell you that the youth are taking trends out of the pages of magazines (and even comic books!) and into the streets. Costume Play, or more popularly known as COSPLAY, for instance, is now a growing style trend in the Philippines. What used to be part of the Otaku culture (fans of Japanese comic books or manga), is becoming a common sight in everyday Pinoy fashion little by little. 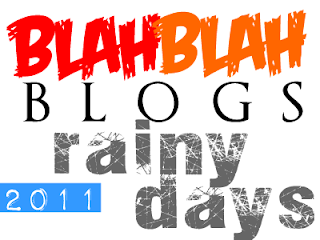 Blah Blah Blog RAINY DAYS: Buwan ng Wika Bow! Basic rule of the trade, this is the message DEEP GOLD wants to portray. Written and directed by Michael Gleissner of Big Foot productions (Based in Cebu City). The film is shot at the islands of Cebu and Palawan in the Philippines with a lot of scenic shots of the sea and islands. The whole production took 5 years in the making due to changes, ballooning budget and also the CGI. ONE NO LONGER HAS TO TRAVEL TO A FAR AWAY ISLAND to enjoy surf, sun and sea at a world-class beach resort. 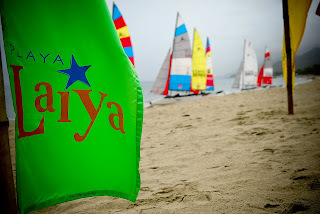 The luxurious beach at Playa Laiya leisure community in San Juan, Batangas is the perfect beachside residence and leisure destination to go with family and friends--it's only two hours and thirty minutes away from Metro Manila. Over 180 blogger together in one venue! Blogger Fiesta 2011 was a big success with a lot of fun and learning from fellow bloggers who are experts in their own fields. However due to the bad weather and some errands, I came late to the event, but this never stopped me to enjoy and have fun for this year's Blogger Fiesta Manila. Also my Ninang's daugther Malen Pacis also joined us and marked this as her first blogger event! I was not able to be in Madrid for the World Youth Day 2011 because I never had a chance to have the fare and the opportunity but I was glad t know that there was the youth vigil staged in Ateneo de Manila. The JD Set is back! The wait is finally over as Jack Daniel’s Philippines brings back into the spotlight the 7 indie bands chosen from last year’s most successful run of The JD Set— Jack Daniels’ global music program. Beginning in the UK and then trickling down to Asia and the Pacific regions of Australia, Japan, India, Korea, Thailand, Indonesia, Malaysia, Singapore and now the Philippines. The music industry today is too saturated with fast paced sounds that come and go. Some do lack permeability and would often sound the same and makes its essence dull . But when certain colors are applied, its true soul is revived and makes it beautiful. That is what MCA Music’s newest musical gem TRICIA GARCIA is all about: a mix of colors and what they evoke, a collection of life's experiences and what lessons they leave, all displayed in her debut album Kulay. “I want listeners to be inspired by the fullness of life," Tricia says, when asked how she chose the album title. Setting a new trend in Philippine music, she brings light jazz, a mixture of easy listening pop, and jazz. Trained in opera but influenced by mainstream jazz and blues, Tricia's voice soothes and captivates. It's as if this consummate artist--she plays the piano, guitar, and sax, and paints and writes poetry, as well--is singing for you and you only. Resorts World Manila is ready to crown its new queen who will be the spokesperson for the integrated tourism destination in the Philippines. She will embody beauty, intelligence and elegance and will be named the new Ambassadress of RWM. As the winner of this tittle comes the more than P1 million worth of prizes. This will all happen on Aug. 27, 2011 at the Newport Performing Arts Theather. Aside from Paris Hilton in Town, we also have a very hot personality and also a fan of Manny Pacquiao is here in town to brust Resorts World Manila into laughter with stand up comedian REX NAVARRETE. He has been in the industry for about 22 years and even funnier than ever. Rex recently had his national debut on Lopez Tonight on the TBS network. He is the only Fil-Am to have four audio CDs and three DVDs of his various perfomances. Filipinos loved him for his acts like "Maritess and the Superfriends" and "SBC Packers". Navarrete took Manila by storm in the early 2000s and his stories of his childhood and of relatives living in the US resonated with the local crowds. People also loved his performance when he did a sketch for Manny Pacquiao. His performances are also a favorite in Youtube and even in (believe it or not) call center training. World Food Programme Bloggers Meet Up Happening Now! Here is Yonel's Top 30 for this week! Enjoy! Kudos and Thank You To The Podium Security! Just wanted to take this moment to thank the Podium Security for helping me return my camera. Yesterday, I though I lost my one and only camera. I thought it was lost forever, with the possibilities on how it was lost made me so paranoid inside. My camera, a Sony Cybershot W110 which I won in a raffle, is already 3 years old, and even if its value may have depreciated its sentimental value is priceless. Its World Youth Day in Madrid! 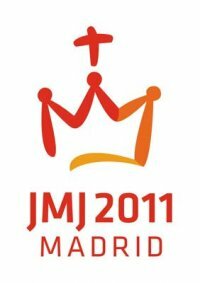 The World Youth Day has begun today in Madrid! The youth of the world is excited in this rare event that only happens every three years. Last time it was in Sydney Austrailia which was the second World Youth Day of Pope Benedict XVI. Of course Filipinos are also part of this momentous occasion as it also hosted it back in 1995, which was also the largest attended papal mass was held in history. And there will be more historical moments that will happen in the next few days. I was wishing to be part of this Youth Day to meet more friends and also share stories that you can really find inspiring. Blah Blah Blog RAINY DAYS: Paris and London Baby You Can't Keep! Our Hot topic today is Paris and London, thus the title. It is actually a line from "I love New York" song from Glee originally performed by Madonna in case you were wondering. Of course, the London Riots have been the focus of the world today as it caused so many damages in one of the powerful cities of the world. Days of violence and even widespread looting caused a lot of instability in the city. Caused a number of deaths and injuries. This also spread into places in England. This made me wonder that even with a progressive country like Great Britain, a small mistake can cause a lot of trouble. The problem is not over yet with arrested culprits and sued reaching thousands this unrest is still not over. 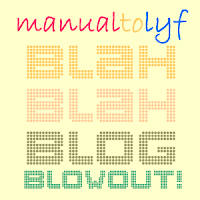 Manual to Lyf has now a real estate blog called YOUR OWN PROPERTY. A great guide for people who wants to know about great buys in real estate. You may visit the site at www.yourownproperty.blogspot.com. And For the first main feature, we have the Malayan Plaza Tower located at Ortitgas Center. 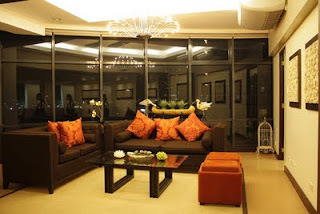 Just across Asian Development Bank and Podium, it also has a great view of the Ortigas skyline and beyond. For more details visit the blog today! Life and career does go on even after Pinoy Dream Academy. This is what PDA Scholar Bunny Malunda proves as she launches her debut alum Bunny. And here she she is introduced as the ultimate Glam Punk Pop Rock Queen. Though she might look like other singers in the industry, she is here to make a mark on her own. 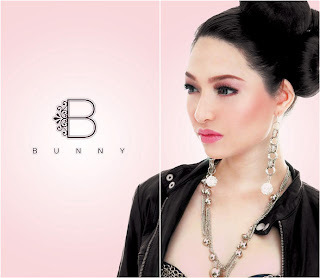 Her innate flamboyance and sexiness, not to mention her rockstar attitude in her performances, made Bunny Malunda stand out as her own self in ABS-CBN’s hit reality star search Pinoy Dream Academy ,two years ago. Now, she returns still being herself as the country’s ultimate glam punk, pop rock artist. Primetime Princess Kim Chiu is now back with a new teleseye in My Binondo Girl. She plays the role of Jade, a girl raised by her loving mother Zheny (Ai Ai delas Alas) and cheerful grandmother, Amor (Gina Pareno), but still longs for the love and approval of her Chinese father Chen Sy (Richard Yap). In an unexpected turn of events, she is forced to change her identity from Jade to his late brother 'Yuan' which his father wanted to have. It's not just a fun online game. Alter Space is the first Filipino online game on Facebook that teaches gamers how they can help protect the planet. For blogger Richard Mamuyac, playing Alter Space improved his perspective regarding environmental concerns—it also helped him get his very own iPad 2. He won the iPad after getting proclaimed the grand winner in a contest sponsored by AbotizPower (PSE ticker symbol: AP) for Nuffnang bloggers. In Alter Space, players learn how to make sensible, practical choices in their daily life—all of which help reduce the effects of global warming and climate change, and decrease carbon emissions in our atmosphere—while simultaneously enjoying the game. Noranians rejoice! As Nora Aunor is now back in the country, there will also be a free screening of her movies like Himala ang Bona. The location is in 10A Alabama st., New Manila, Quezon City. Himala will be shown at 6:30 PM August 20, 2011. While Bona will be at 6:30 PM August 21, 2011. Its a Nora Aunor Movie Weekend! A road trip to the Ambuklao hydroelectric power plant is hardly for the faint-hearted. It may very well be a mere 40 kilometers from idyllic Baguio which, when considering the 210 travelled from Manila, may seem paltry. Just like the history of this majestic piece of history, the road has its ups and downs and, to the uninitiated, may seem like an eternity. 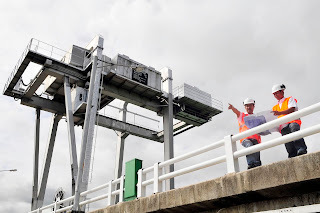 Yet it is well worth it, if only to see for yourself this magnificent marvel of engineering from 60 years past, once again providing electricity to the country after years and years of inactivity. 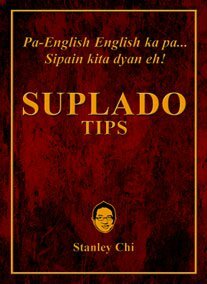 Suplado Tips: A Must for the Suplado in You! Feel bored with your personality? Be SUPLADO! Just like the Suplado Sepremo Stanley Chi! He had also made a book about it called SUPLADO TIPS. Known as a Multimedia Celebrity and also host of Front Act that airs on Solar TV, together with Mike Uson, LC Reklamo and Benedict Bartolome. What is in the book? Of course the best Suplado tips for both beginners and experts. Be an instant suplado/suplada and be the top of the class! Gone are the days of Jejemons, Conios and Sosyaleras, Suplado is now the in thing today! So don't be left behind! Grab a book now at a bookstore near you! And by the way did I also mentioned that Stanley Chi is also popular with cosplayers, anime lovers and even bloggers? Now he has a suplado watch made by Unisilver Time! Now that is big time Suplado-ness! For this year, I do hope to do more travels around the Philippines even on a very tight budget. However, I always do my research on them to make sure I can optimize my stay and have a really great time. Here are my top 3 choices which are also one of the best places in the major islands of Luzon, Vizayas, and Mindanao. King DJ Logan (Carlo Del Carmen) is upset with the band Someday dream because they did not performed at Petixfest which was organized my 99.5 RT and the Radio team 'the FARM'. He posted in his status a call to boycott the band from RT and other stations who helped in developing his career.